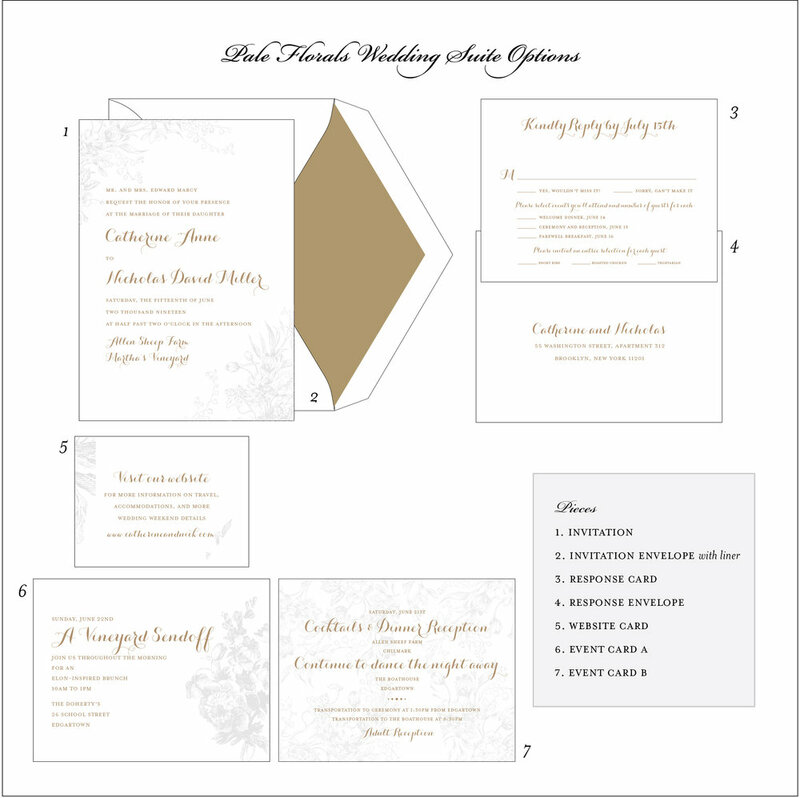 The pale floral letterpress wedding invitation features a pale gray flower motif and gold printed type. 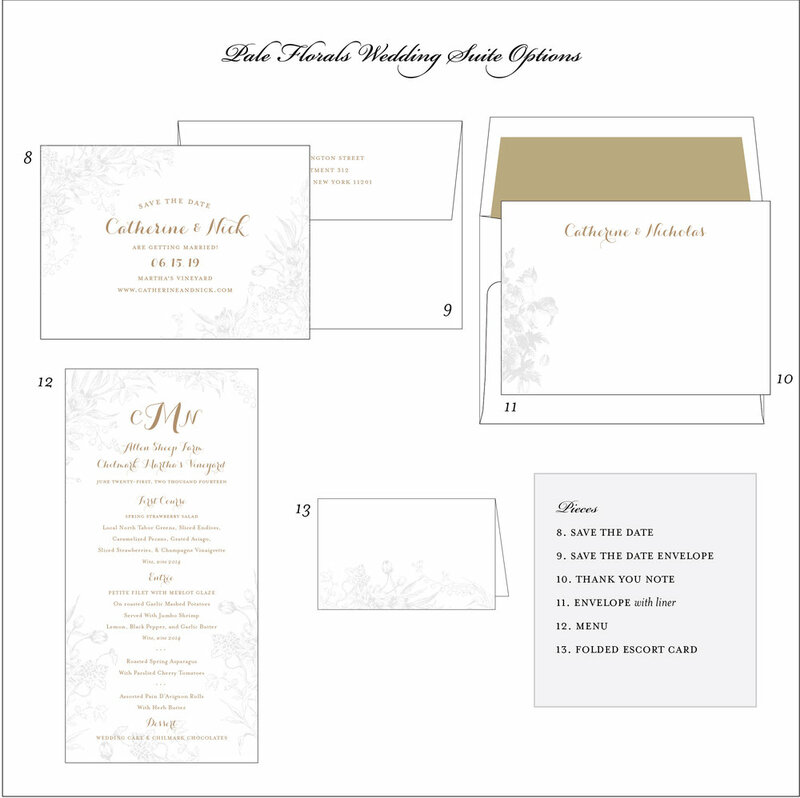 The floral design is like a subtle, romantic bouquet on the invitation. Pale tinted letterpress florals make this wedding invitation a really subtle, beautiful design. This letterpress suite was designed to represent a bouquet of flowers, with each piece featuring slightly different floral motifs. Printing gold ink for the text adds another layer to this invitation. The font includes gorgeous embellishments and a loose cursive feel to up the romance.